A couple of weeks ago I visited the volcanic island of Milos, part of the Cyclades complex of islands in the middle of the Aegean sea. This is a small, but beautiful island formed by volcanoes and full of colorful volcanic rocks and formations. 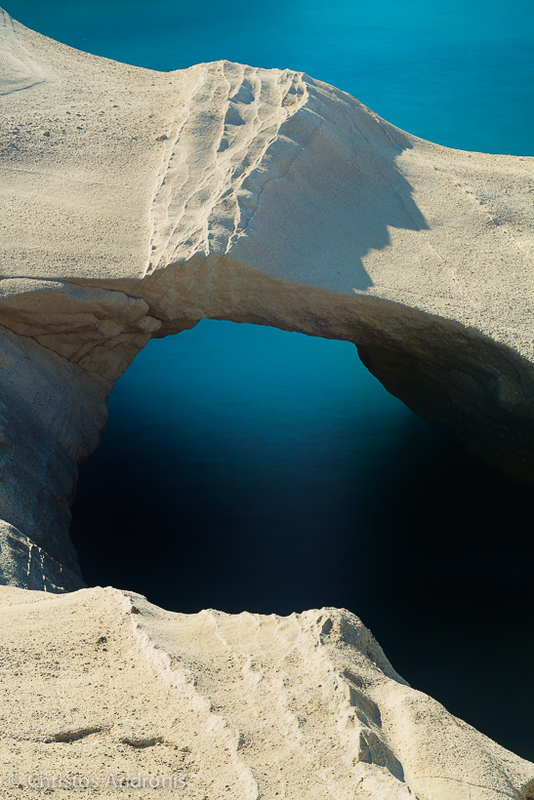 A good page to find more about the volcanic rocks at Milos is this one. However, my aim for this first visit was mostly to photograph the white tuff formations at Sarakiniko bay, in the north of the island. Sarakiniko is impressive and with good light, very photogenic. Here are a couple of images I processed in the last two days. I intend to go back in the near future.